Seasonal Magazine: Public Sector Banks: Will Finance Ministry’s New Micromanagement Hurt Them More? Public Sector Banks: Will Finance Ministry’s New Micromanagement Hurt Them More? India’s Ministry of Finance, virtually the sole authority overseeing Indian Government’s ownership of the country’s public sector banks, is understood to have recently taken a more proactive role in managing - or even to the extend of micro-managing them - for better performance. The crucial question now before these PSBs, is whether this will stress them out more, as they are already suffering from varied problems - some of their own making, but some from the state of the economy, and some from the management of recent economic challenges like inflation. 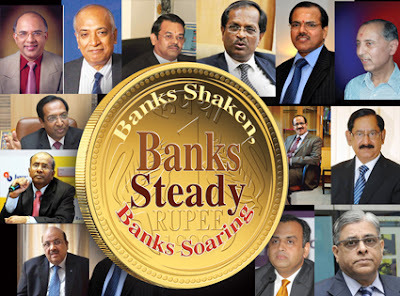 The bone of contention seems to be the PSBs’ dependence upon its promoter, the Government, to seasonally provide more equity for re-capitalization, so that the Capital Adequacy Ratio, of these banks are shored up to the so-termed safe limits as stipulated by RBI as well as the evolving international Basel norms. This is quite unlike India’s private sector banks, or at least the better performing private sector banks, which rely on their own operations to recapitalize, which has resulted in a healthy respect for equity in some of these banks, which is lauded by the investing community. While some of the new parameters and targets stipulated by Finance Ministry is reasonable, or even very much needed, a newfound stress on ensuring profitability is a gross surprise to put it mildly. For example, even many veteran bankers wouldn’t find problems with parameters like NPAs, Staff Ratio between branches and administrative offices, or adherence to RBI’s CAMELS framework (Capital, Asset Quality, Management, Earnings, Liquidity, and Systems & Controls). But the biggest surprises over here are Finance Ministry’s insistence on parameters like Return on Assets (RoA) and CASA Ratios. Though a couple or more of PSBs have healthy RoA amounting to 1.20%, the majority of them suffer from pathetic Return on Assets, which is typified by the largest PSB, State Bank of India’s RoA of 0.68%. But FinMin now wants all PSBs to sport an RoA of 1.5%, much in tune with private sector banks’ similar figures. Now, the question shouldn’t be whether this is a doable target for majority of the PSBs or not. The question should be, why it should be done? It is a well-known fact that private sector banks carry only a much lighter burden on issues like priority sector lending, both in paper and in practice, which is one of the core issues affecting profitability and thus RoA of public banks. So the question boils down to whether private sector banks should be pressured into offering more priority sector lending which will reduce their RoAs eventually to PSB levels, or pressure PSBs into a difficult track that will ultimately end up in them resorting to a cautious approach to priority sectors, even while they try to focus more on premium fee based services that benefit only a small affluent cross-section of the society. The situation is even more ironical, if one takes into account RBIs stand on Indian banking sector’s profitability. Top ranking RBI officials have repeatedly said in recent weeks that Indian banks - and that includes PSBs too - are making too much profits vis-à-vis their international peers. RBI had also identified and struck at the heart of the issue - Net Interest Margin, one of the most reliable metrics of banking sector profitability, should come down from the current 2-4% to 1% or even less, as seen in international banks in developed nations, says RBI. Now, no magic exists whereby there can be lower NIMs and higher RoAs. So, why this contrasting opinions from the banking regulator and the elected government? Theoretically, the reverse should have been the case - an elected government arguing for lower profitability that will help the poor and industry alike, and it should have been the role of the banking regulator to ensure higher profitability. The answer is obvious - the elected government is believing more in its promoter role, and the un-elected RBI is believing more in the greater good of the needy sections. A similar kind of disconnect is seen in the issue of CASA deposits. While Government wants all PSBs to almost double their low cost Current Accounts Savings Accounts to more than 40%, the recent RBI move that de-regularized savings bank rates, and thus created differentiated deposit products, is ensuring not only that Government’s lofty target for CASA won’t be met, but also that many PSBs will have to fight hard to even retain their current CASA ratios, as private banks are rapidly making inroads into public sector turf here. Again the relevant question is, why this disconnect? The unfortunate thing over here is that the new targets and parameters from FinMin has come at a time when it was clear that PSBs were already reeling under NPAs and other issues. The evidence was there in Q2. The pressures of Q2 was a bit too much - enough to separate the wheat from the chaff. While Q2 left many Indian banks shaken for ever, some of them held steady in the storm, and a few of them even managed to soar. Anyway Q2 is passé now. The greatest utility of Q2 numbers is in assessing Q3, Q4, and the fiscal to come. Close on the heels of Q2 came another game changer - de-regulation of savings bank rates. While some bank chiefs were quick to disapprove of RBI’s wisdom, saying that there is no room for a savings bank rate hike, within hours things were proven wrong. A private bank took the SB rate all the way up to 6% - which was a stunning 2% hike within hours. Then another private lender followed suit, then they came in larger numbers. Today, the main newspaper ads by banks are about rate hikes. It is a great thing that RBI has given room for differentiation, perhaps for the first time in India’s banking history. Let this culture of differentiation flow into other sectors of banking too, so that the customer comes first, and since the customer comes first, shareholder value is protected. But the brunt of the RBI move is likely to be felt more by public sector banks, which hitherto had access to huge low-cost funds, which was thanks also due to the undifferentiated CASA deposits. It would be interesting to watch how various PSBs adjust to the new de-regulated environment on the deposit side. The story in nutshell from Q2 is one of soaring NPAs, soaring provisioning, and lacklustre growth. Even in some stories that present good headline numbers, we find that the numbers were managed on aggressive write-offs or upgrades of loans. But amidst the gloom, there were robust performances. 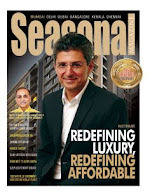 Seasonal Magazine brings you a performance appraisal and what to expect in 12 banks. This is hoping that a double whammy doesn’t arrive by way of RBI re-thinking on its guidance of not upping the interest rates again. Indian markets can well take Moody’s downgrading or S&P upgrading, because the intelligent investors over here know what to take from such reports. We have a greater focus on PSBs this time. From investors standpoint, the reason is obvious. Stocks are best bought low and sold high. By high and low, what is meant is not the absolute prices, of course. Low as in low valuations, is what is meant. It is not always when you find more than half a dozen PSBs trading even below their book-values, with two of them below 0.80% of their respective BV. But does that mean those two banks are the best bets now? Need not be. And does that mean, PSBs trading above their book are riskier bets? Again, need not be. In fact, this is what we precisely try to find out in this compilation - whether after Q2 and other recent developments - are these 12 banks shaken, steady, or soaring? India’s private banks are another story altogether. With the cheapest among them trading well over 1.25 times its book, and the costliest one trading above 5 times its book, we feel there is little room for improvement, if not a large room for correction. But here also, we have included promising players like Karnataka Bank and Karur Vysya Bank. Corporation Bank’s Q2 headline numbers were good, with total income up by 46.36% and net profits up by a healthy 14%, both year-on-year. Provision Coverage Ratio stood at 84.72%, signalling prudence. Net Interest Income growth was decent, at 6.84%. Quarter-on-Quarter or sequential growth was also positive on the income and profits front. Taking the first six months together, the rise in net profit was around 10%. Business growth was led by deposits at 24.45%, and on the advances front, growth was at just 16.99%, keeping pace with the industry. CorpBank added 14 branches and 6 ATMs during the first half. The PSB seems to be more focusing on increasing efficiency of its existing network and employees, and it has had successes on fronts like business-per-employee and profits-per-employee. Return on Equity (RoE) for FY‘11 was around 20%, ahead of many peers. Headline numbers were good in Punjab National Bank’s Q2 results, with total revenue up by 22.5% and net profit up by 12.1%. The business growth was more on the deposit side rather than on the advances. However, the crucial low cost CASA deposits took a 200 bps hit in the quarter. It is significant that this has happened even before the RBI deregulation of savings bank rates took effect, which is expected to add further pressure on PSBs’ hitherto safe bastion of Current Accounts Savings Accounts (CASA). The bank’s numbers also took comfort in the higher growth on the non-interest income front. But the real shocker was in the asset quality. The second largest public sector lender finally acknowledged during the quarter, what many analysts had repeatedly cautioned regarding PNB’s exposure to State Electricity Boards. Restructured loans jumped during the quarter, and now stands at 8% of all loans made by the PNB, which is a record high among all banks. Around 50% of the restructured loans are to the troubled power sector, with one worrisome short-term loan of Rs. 1750 crore getting converted to a 5-year loan. NIM has slipped marginally, and is likely to be pressured by the expected pressure on CASA deposits. Though slippages were largely contained in this quarter, it is significant that much of the new slippages happened from the already restructured books of PNB. The bank was also seen struggling to contain operating expenses with employee expenses up by 11% and other operating expenses up by 19%. Profitability took a hit as provisioning was up by 28.9%. The widely expected positive re-rating in the stock is less likely to happen now, unless asset quality improves, which is however more dependent on the troubled power sector getting a reprieve through government policy. A few analysts have already cut price targets for the bank. There is no doubt that Mumbai headquartered public sector bank, Bank of India, has had a difficult time in Q2 of this fiscal. Some of the headline numbers weren’t good, with net profits declining by over 20% year-on-year. But looking closely, it can be seen that almost all of the drop has come by way of higher provisioning requirement due to migration to system-generated NPAs, that Bank of India undertook during this quarter. However, BoI displayed strong growth in overall business, with deposits growing by over 24%, and advances growing by over 18%, which is comparable to best performances from the sector during this quarter. The crucial metric of Net Interest Margin (NIM) improved to 2.44%, as BoI made good of the rise in yield on advances as well as better yield on advances. This is commendable, as this performance was against the formidable wall of the prevailing high interest regime which saw many of its peers digressing on NIM. Robust performance was also seen in Other Income growth, with treasury income jumping by nearly 41% sequentially, and fee income growing by 19%, both on a sequential basis. What this shows is not only that the bank is properly hedged against the tightening regime, but that it is getting good traction in non-core areas like specialised services, which has been something of a forte for private sector and MNC banks. Bank of India’s capital adequacy ratio now stands a tad short of 12%, and the PSB has requested its promoter, Government of India, for fund infusion of around Rs. 1000 crore for re-capitalization. Chairman Alok Kumar Misra is confident that post the NPA migration, performance in the upcoming quarters would be more robust, and this veteran banker is also confident that NIM would improve further to 2.6% by FY’12 end. Regarding risks emanating from accounts like Air India, Kingfisher, State Electricity Boards etc, the bank recently informed that strict norms would be forced for restructuring like promoters bringing in more equity. Bank of India scrip is trading very attractive now, at just over its book-value, and just over 8 times its earnings. Even while a few of its peers faced a negative turnaround, and many of them faced lacklustre growth, Bank of Baroda has once again proved that it is the strongest PSB stock, if not the strongest PSB. Q2 net profit is up by 14.4% on a year-on-year basis, while net interest income is up by 26%. Loans outperformed deposits, both on the domestic and global front. While urban and corporate sectors took a backseat this time, BoB outperformed on the rural and retail fronts. Like most banks, Bank of Baroda too struggled with corporate loans, but it was forthright in announcing that loan demand for greenfield projects had almost dried up. Yet, straight on the face of such a challenge, BoB focused on efficient disbursements for sanctioned loans, which seems to have achieved the good numbers for them. The good show this quarter is also on the face of cost of funds going up, and the real performance was on the Net Interest Margin front, when NIM grew from 3.39% to 3.67%. The bank continued to vigorously protest its asset quality by higher provisioning which now stands at 82%, even while NPAs slipped only marginally from 0.44% to 0.47% on a quarter-on-quarter basis. Canara Bank’s net profit is down by 15.44% on an year-on-year basis, unlike many of its peers who managed at least modest growth in the second quarter. The bank attributes the fall to migration to system-generated NPAs during this quarter, but then the question is why the half-yearly profits have also fallen by nearly 22%. Net NPAs rose by an alarming 67.61% to reach Rs. 3116.99 crores. Gross NPAs as a percentage is up from 1.49% to 1.73%. The fall in profits is despite a record jump in cash recoveries, which stood at Rs. 800 crore during the quarter. One reason seems to be the higher provisioning requirement brought forth by more bad loans. Provisions during the quarter soared by more than 250% to reach Rs. 553.11 crore. Growth in income was stronger in non-interest income than in core interest income. The bank’s aggressive stance in garnering deposits came at a high cost, with total expenditure up by 47% and interest expenditure up by 58%. It remains to be seen what would be the jump in interest expenditure from now on, as RBI has recently de-regulated savings bank interest rates, and with a few private banks having already upped the ante on PSBs like Canara by hiking savings bank rates by up to 2%. Advances grew slower than deposits, and clocked a growth of 23.8%. Reflecting the results and based on Moody’s downgrading of Indian banks, Canara Bank scrip has started correcting, which is expected to gather momentum. If RBI doesn’t stick by its guidance to not increase interest rates further, due to the persistent inflation, it will be a double whammy for already pressured PSB stocks like Canara. Indian Overseas Bank is now at the center-stage of the country’s banking industry, having recently hosted Bancon 2011 in Chennai from November 4th to 6th. Done in association with Indian Banks’ Association, IOB’s proactive role in making the function a grand success was not missed by any. During the second quarter of this fiscal, Indian Overseas Bank could grow its total income by an impressive 56.84% on an year-on-year basis, even though YoY net profit rise was modest . Evidently, higher provisioning on both non performing assets and standard assets took its toll during the quarter. The higher provisioning was mandated by migration to system generated NPAs, which took place for IOB during the second quarter. The bank was also cautious in its guidance for the next quarter, when Chairman M Narendra indicated that a bounce back in net profit growth would have to wait for one more quarter, that is not until Q4 this fiscal. But investors are not likely to complain as this comes across as a one-off phenomenon, with both the revenue growth and interest income growth intact. Net Interest Income had grown by a robust 32.43% year-on-year. Despite the results, at least a few noted analysts reiterated their buy call on IOB stock, as the bank appears in a major growth phase. The PSB is in the process of recruiting 3500 more staff in a bid to jumpstart reaching its target of 3.50 lakh crore by end of Q4. Expecting good credit growth, as RBI has given guidance for likely peaking of interest rates, IOB is approaching the government for a capital infusion of Rs. 1450 crore. The branch network is also being beefed up to 3000 by March 2013, to capitalize on the deregulation of savings bank rates, and thus to regain CASA growth. Indian Bank’s Q2 numbers are reasonably good, with the topline growing by 20.6%, and bottomline or net profit growing by 12.7%, both year-on-year. Growth came from all segments, with both interest income and non interest income putting up a good show. It was also a quarter in which income from its investments also kept pace. But amid the reasonable numbers, asset quality deterioration was evident with net non performing assets soaring by nearly 16% year-on-year to reach Rs. 1047 crore, YoY. The bank had already migrated to system generated NPA and provisioning scheme as stipulated by RBI, during the previous quarter. As such, this further deterioration in asset quality is of some concern. While the PSB successful recovered its funds from many delinquent loans, the bigger problem was that fresh NPAs were generated. The bank needs to recapitalize, maybe not in a hurry, and it is likely to use its available headroom for Tier-II capital, rather than the announced FPO route due to the current low valuations. OBC’s Q2 results have come as a shocker to investors in the counter. Even while the PSB witnessed reasonable revenue growth of 27% year-on-year, OBC’s net profits took a serious dive of 58% YoY. While the profit drop was over higher provisioning, the bank seems to be under pressure in its non-core business as other income also fell by 8% QoQ. OBC had migrated to the RBI stipulated system generated NPA and provisioning model, but it can’t be fully said that the switch was the only reason. There seems to be serious pressure on asset quality, with both Gross NPAs and Net NPAs jumping seriously to 2.95% and 1.90% respectively. Total provisions more than doubled to Rs. 485 crore. Both overseas and domestic brokerage majors like Bank of America and IIFL are disappointed with the results, and a few brokerages and analysts have already downgraded the stock. The Earnings Per Share (EPS) has more than halved on a QoQ basis, while it is down to nearly one-third on a YoY basis. However, Chairman Nagesh Pydah has tried to explain the poor results as a one-off phenomenon owing to the migration to system generated NPA model, and has asked investors to watch out for the coming quarters where the bank is claiming to put on a much better show. Syndicate Bank has delivered a good set of headline numbers for the second-quarter. Net profits are up by 36%, and total income is up by a similar figure of 35%. But looking closely, the jump in net profit is also due to lower than expected effective tax-rates. While Net Interest Income growth was good at 18.5%, Other Income growth was sluggish at just 5.6%. Margin pressure is evident, with NIM slipping by 11 basis points. There were significant slippages, with NPAs rising from Rs. 917 crore to Rs. 1052 crore. The bank completed its switching over to system-generated NPA structure during this quarter. However, NPAs as a percentage decreased marginally to 0.93%, aided by aggressive write-offs as well as upgrades. The crucial CASA ratio slipped by more than 430 bps, as the growth in these low cost deposits was quite muted. Gross NPAs remained high at 2.4%, while provision coverage ratio at 78.5% ensures some shock-proofing. Loan growth at just 18.9% lagged deposit growth at 21.5%. The bank has a troubling exposure to the grounded cargo carrier Deccan 360, which is nearing a CDR process. Still, the bank is participating in big-ticket syndications like the recent one for Soham Renewable Energy. The Karnataka based PSB would need to be recapitalized by Government of India in this fiscal itself. The bank is on the watch-out for any troubles on the home loan front, and has recently reiterated its support to Government’s call for extending home loan tenures to 25-30 years, or up until the borrower is 70 years of age. Karur Vysya Bank’s consistent performance continues even in these troubled times. While net interest income jumped by an impressive 49%, net profit rose by a decent 10.44%, both year-on-year. The divergence between the income and profits was largely due to the high interest regime that is pressuring the margins, and is likely to moderate going forward, as RBI has guided that further rate hikes may not be necessary. Operating profit increased by only 8.7%, revealing that KVB could effectively contain expenditure growth. The six-monthly increase in net profit is still an impressive 23%. Deposits were up by 28%, even while advances outperformed with a 32% growth, and the traditional private sector bank crossed another milestone - total business of Rs. 47,000 crore. When most similar sized private and public peers were struggling with asset quality, Karur Vysya Bank’s Gross NPAs could be contained to 1.48% from 1.55% a year ago, on a six-monthly basis. Net NPAs have jumped from 0.16%, but is still at an impressive 0.29%, which many banks can only dream of. No wonder then that KVB stock has resumed its upward journey after the sharp fall caused by the correction in general markets and banking stocks in particular. Karnataka Bank has delivered what is one of the best quarterly results among all banks, private and public. Net profit is up by more than 43%, while net interest income is up by more than 33%, both on a year-on-year basis. With this, the bank has successfully wound up a half-year that saw a net profit growth over 20%. The magic seems to come from better operating profit, mainly from healthier yields on advances, even in a climate that witnessed higher cost of funds. Net Interest Margin reached 2.20% from the year ago figure of Rs. 1.96%. Not surprisingly, most analysts have given a buy call on this private sector banking scrip, post Q2 results. The only concern was on the NPA front, where some slippages were visible, but MD & CEO P Jayarama Bhat is of the view that the slippages are largely of a temporary nature and would go away with an upgrading process that the bank would undertake. The bank is definitely on a growth trajectory, and Bhat is confident about the business target it has eyed for the fiscal, Rs. 54,000 crore, to be easily reached. Point of Sales and Online Trading are newer growth areas where the bank is making inroads. Karnataka Bank has also embarked on an ambitious project of Business Process Reengineering (BPR) to be undertaken by international consultancy major, KPMG, over the next six months, that would make the bank as competitive as many of its newer generation peers. Bhat is also bullish about the recent RBI deregulation of savings bank rates and opening up of branches in Tier-II cities, as he feels that Karnataka Bank has the strategy to make good of such policy measures. Mid-sized private sector lender, Dhanlaxmi Bank, has given a strong signal of positive turnaround in performance, with both income and profits growing strongly in Q2, both on an year-on-year and sequential performance. Total income was up by an impressive 79.10% YoY, and by a decent 10.80% on a quarter-on-quarter basis. The jump in net profit was stunning at 168% on an year-on-year basis, but was that huge due to the low base formed in Q2FY’10. But net profit grew sequentially too, by an inspiring 27.94%, which is a performance many of its comparable private and public sector peers couldn’t come up with during this last quarter, which was marked by interest rates tightening further and credit demand languishing. Growth in advances at 44% kept pace with growth in deposits at 45%, which are again more than impressive growth metrics compared with many peers. In fact, RBI has recently cautioned Dhanlaxmi Bank from growing its loan book too aggressively, and asked the bank to limit it to a maximum of 25% in FY’12, and to focus more on direct advances rather than portfolio buyouts. Dhanlaxmi’s fixed deposits continue to be one of the most attractive in the industry, with their 300 day FD offering 10% interest. Despite the intense pressure on margins experienced by the entire industry, Dhanlaxmi Bank could increase its Net Interest Margin to 2.20% from 2.00%. The bank’s focus on improving fee based business paid good dividends in this quarter too, as non-interest income surged by 21%. The bank introduced as part of this plan, a forex card for international travellers during this quarter, which was well received. The bank also made best use of the prevailing mood, by pushing its gold retailing business, with Q2 sales of gold coins and bars passing the impressive 100 kg mark. Non performing assets were managed on a war footing, and the results were evident, with Gross NPAs falling by 56.35% to reach a very comfortable GNPA ratio of just 0.55%. The bank is proactively responding to all changes in the business environment, and its top officials has remarked that the recent hike in FII bond limit is a welcome move as it will boost the investment climate. Another top official in charge of the subject has commented positively on both the interest rate hike and savings bank deregulation, even while expressing caution due to both these in near-term profitability of all lenders. A recent report by Dhanlaxmi Bank think-tank on capital formation in the country was well appreciated in the industry, and this study had found that for India to return to a high growth trajectory, the country requires investments at the rate of 40.5% of GDP, which is not happening now. The bank has completed an accelerated implementation of state-of-the-art IT infrastructure, for which it won a recent national level award. Dhanlaxmi Bank is soon going in for a major recapitalization drive to get itself ready for the next round of credit growth as and when it happens. The bank, under the able leadership of Amitabh Chaturvedi, MD & CEO, has vigorously and successfully defended allegations of bad numbers in the company’s books, and now with RBI too looking into the matter and providing Dhanlaxmi with healthier guidelines, it can be hoped that better times are there to come for the bank and its stock.